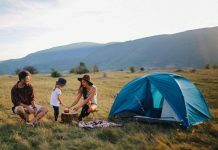 If your best friend is an avid camper and you want help choosing an appropriate camping gear as a gift then you have reached the right place. Here is a list of 10 latest gifting solutions that you can make your choice from. 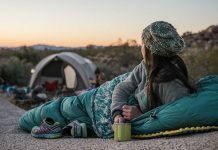 The ProNest Hammock is a very good gift idea for those who love lazing around the campsite, whether it is a scenic beach or lush green forest. 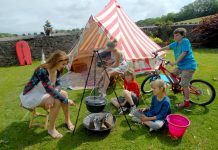 It is a light weight and extremely portable unit that can pack into the size of a small-sized melon and fits very easily into the boot of a car or top of a backpack. Made from high durability material the hammock will last a long time and will be cherished as a special gift from a thoughtful friend. 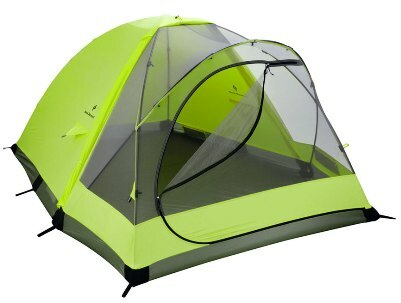 The Skylight tent from Black Diamond is a single wall, light weight tent most suited for avid mountaineers. Though it has a single wall, it is highly resistant to the rough weather conditions of the mountains. 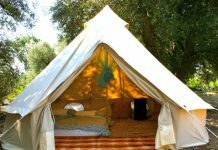 It is the best tent available for alpine adventures and easily accommodates up to 3 people. 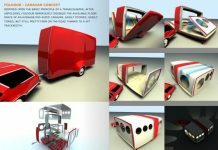 The best part is that its vestibule folds back to give you the advantage of gazing the sky on a star-studded night. Snow Peak’s Titanium Café Press is a great addition to a car camping trip. The café set is a compact yet efficient coffee maker that makes coffee for 2 at one time. The press is crafted from light weight titanium and hence ideal for backpackers too. The set also includes a milk foamer and comes in a gift-friendly carry case. 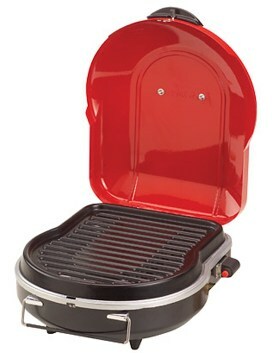 The instant grill from Coleman is a portable and compact instant heating grill which is great for campground without much facility for cooking. 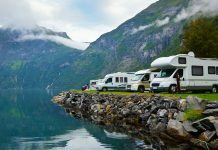 The grill can be fixed to a Coleman propane cylinder with the option of choosing the temperature setting. Grilling marshmallows, hotdogs and hamburgers was never this easy. 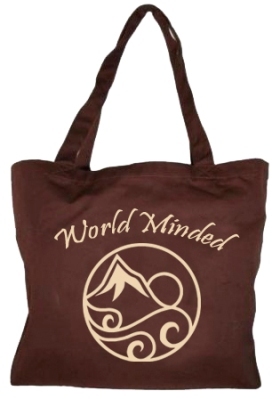 The tote bag from the eco-friendly World Minded brand is ideal for carrying any additional items that you might add on from your trip. Made from organic cotton, the tote uses only vegetable dyes. So inspire fellow campers to adopt such products and save the earth. Camping trips almost always involve a hiking trail. 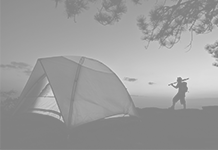 If your friend is one among those who indulge in hiking more often than not then Easton Mountain’s Trekking Poles are the best gift to give. 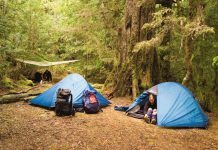 What makes these poles better than any other in the market is that they are ultra light weight and are completely collapsible. 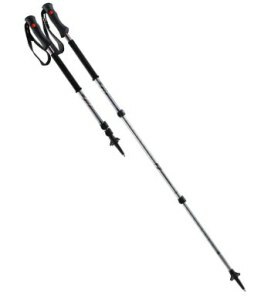 Equipped with the latest anti-vibratory technology, the poles prevent shock and hence give a better hiking experience even in rocky terrain. The Nitrous Down Jacket is a perfect gift for a winter camper. 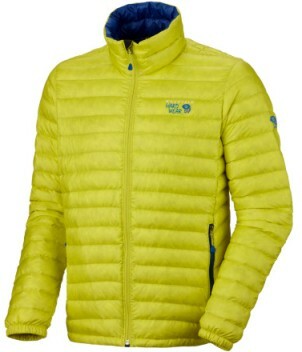 It is made from 800-fill goose down and is the warmest in the mid-weight category you can find. It can be folded into a compact bundle to fit in any day pack. The all new Photo Sport Backpack from LowePro is an ideal accessory for outdoor photographers. The loading compartment is padded with the best material available so as to provide shock proof care to your expensive DSLR. What is more, the top compartment can fit in your other necessities for the shoot. 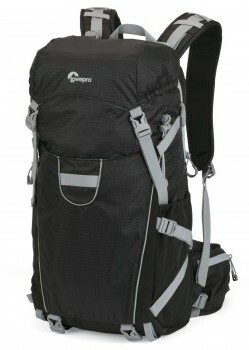 Multistraps, loops and other features make it a very user-friendly gear to have. If your friend camps mainly to pursue his fishing hobby, then here is a non-fiction book that will be appreciated. 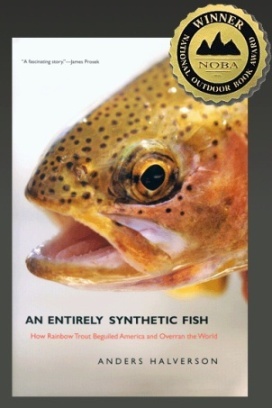 Anders Halverson’s “An Entirely Synthetic Fish” is an amazing book that describes how the rainbow trout became America’s most sought after sport fish. This is going to be a great read for your friend. 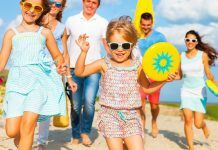 Every child in this generation loves Curious George and what better way to excite a young camper than gifting a copy of Curious George Goes Camping. Written by the legendary H.A. 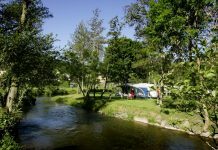 Rey, this is the best way to get a little one familiarize with the amazing world of camping.